In April of 1918, members of the deposed Russian Imperial Romanov family were in the hands of revolutionaries in the Siberian town of Tobolsk. Emperor Nicholas II’s daughters fervently sewed a multitude of diamonds and other gems, intended to fund the family’s new life in exile, into the linings of their garments while their guards were out of sight. 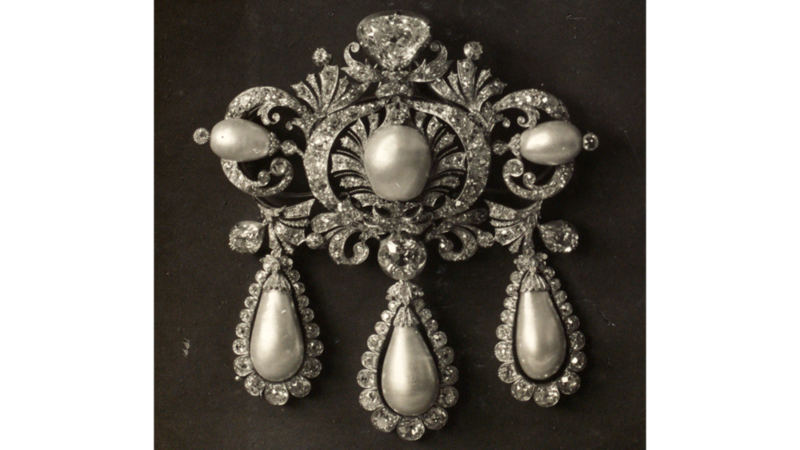 The sisters, Olga (22), Tatiana (20) and Anastasia (16), had received word from their mother, Empress Alexandra – through predetermined code words for the jewels ("medicines" and "Sednev's belongings") – that the family’s possessions would be confiscated at their next destination of Yekaterinburg. A few months later in July, during their terrifying final moments before a firing squad, it was reported that bullets ricocheted off the girls, whose jewel-laden garments had inadvertently and temporarily served as armor. Alexandra’s maid unsuccessfully defended herself during the onslaught with a small pillow filled with gems and jewels. 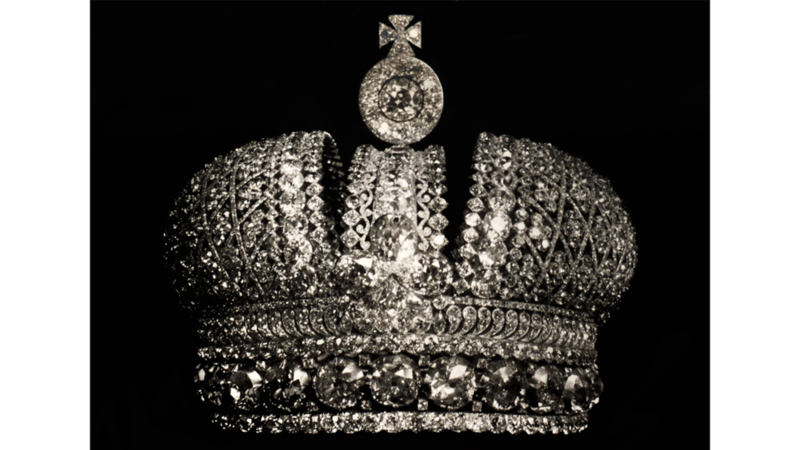 The spectacular gem and jewelry collection of the Romanov dynasty was acquired over 235 years. 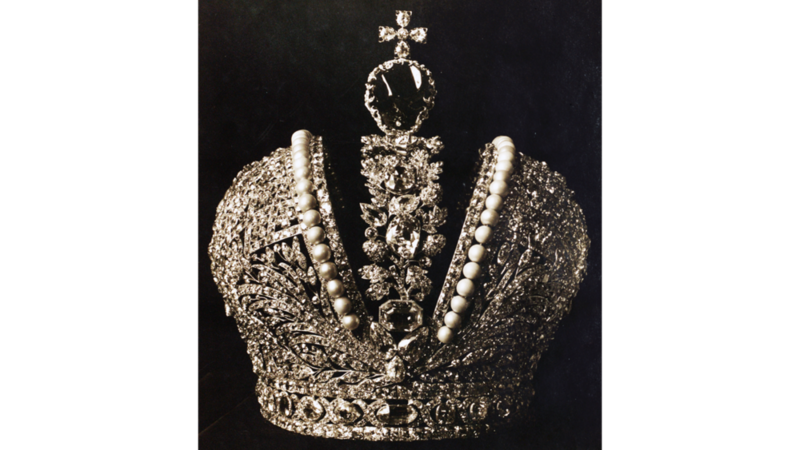 The collection is documented in Russia’s Treasure of Diamonds and Precious Stones, one of the very few surviving catalogs documenting Russia’s regalia and crown jewels at the time of the overthrow of the tsarist government in 1917. Published in 1925-26 by the Bolshevik government, it was printed in three versions: Russian, French and English. Of the 350 catalogs originally produced, approximately 20 copies are known to exist today. One of the English language copies resides at GIA’s Richard T. Liddicoat Gemological Library and Information Center in Carlsbad, California, and can be viewed online as part of an extensive digitization project that makes rare books from the library’s collection accessible to the public. 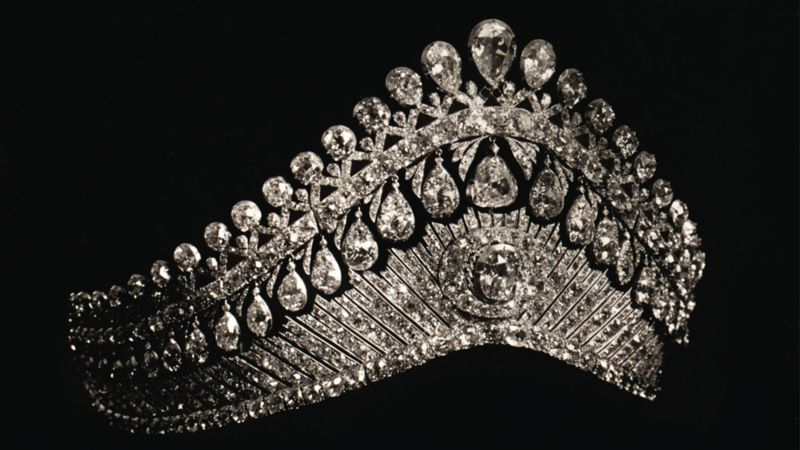 The jewels featured in the catalog were collected by the Romanov dynasty, beginning with the reign of Peter I (commonly known as Peter the Great) in 1682 until the overthrow of Nicholas II in 1917. In 1922, under the leadership of Vladimir Lenin, leader of the USSR and Chairman of the Council of People’s Commissars, the treasure was inventoried and cataloged. “Nine huge strong-boxes crammed with gems (and strange to say, without a single inventory to them) were brought to light from the recesses of the Moscow Armory Hall and placed at once in the safe-keeping of the People’s Representatives,” according to the catalog’s foreword. The catalog project was overseen by noted mineralogist A.E. 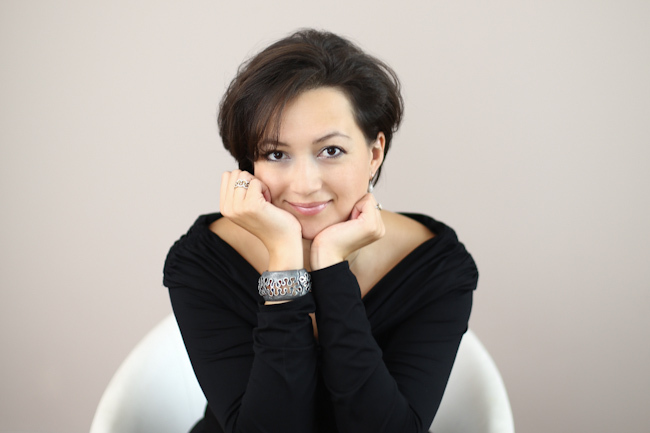 Fersman, with the help of specialists, experts and jewelers including Agathon Fabergé from the House of Fabergé. Of the 406 separate pieces in the treasure, 110 are documented as having come from the reign of Catherine II (1762-1796) and her son Paul I (1796-1801). The treasure is comprised of the Imperial Sceptre set with the approximately 190 carat (ct) Orlov diamond, the Imperial Globe set with an approximately 200 ct Ceylon (Sri Lanka) sapphire, the Great Imperial Crown featuring an approximately 402 ct spinel, the Imperial Nuptial Crown, chains, stars, crosses, emblems, diadems, necklaces, brooches, rings, earrings, as well as loose diamonds, emeralds, sapphires, rubies, spinels, pearls and alexandrites. The Fersman catalog states that the jewels, considered national property, would never be “sold or done away with.” Because the new Soviet Union desperately needed capitol, however, copies of the catalog were sent to potential jewelry buyers anyway. Although the treasure was later removed from the market, some of the pieces were sold to a syndicate and eventually wound up at auction at Christie’s London on March 16, 1927. The majority of the collection remains in Russia at the Kremlin Diamond Fund in Moscow. The public can access Russia’s Treasure of Diamonds and Precious Stones for the first time on archive.org. An interesting video to accompany this historic catalog that contains additional information on the Russian Treasures can be found here.